Spring is here and spring celebrations are in the air! 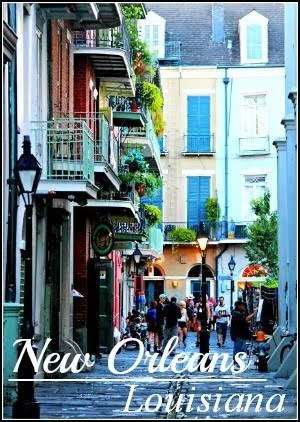 Easter is now upon us and soon will follow the communions parties, Mother's Day brunches, and back yard cookouts to celebrate graduations. And when it comes to planning any type of gathering, as far as appetizers go I like to keep things simple. 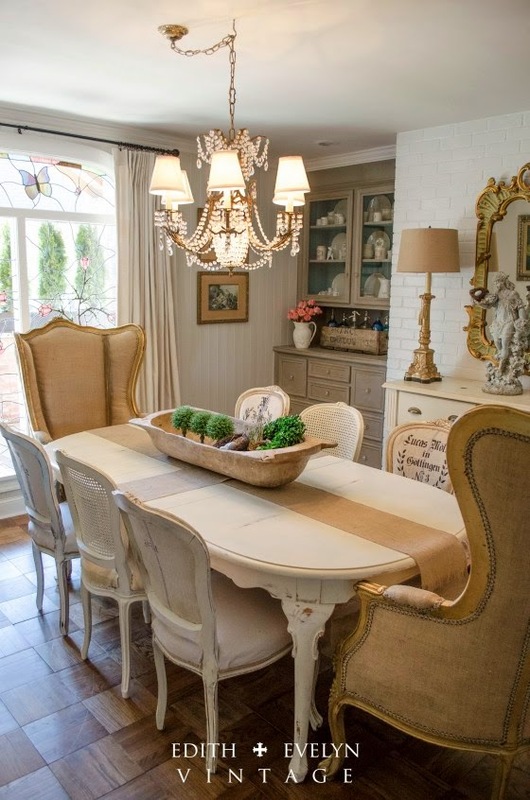 One of the easiest and most elegant ways to set the tone for an afternoon or evening social is to provide a beautiful appetizer table which includes a few unique yet versatile spreadable cheeses. 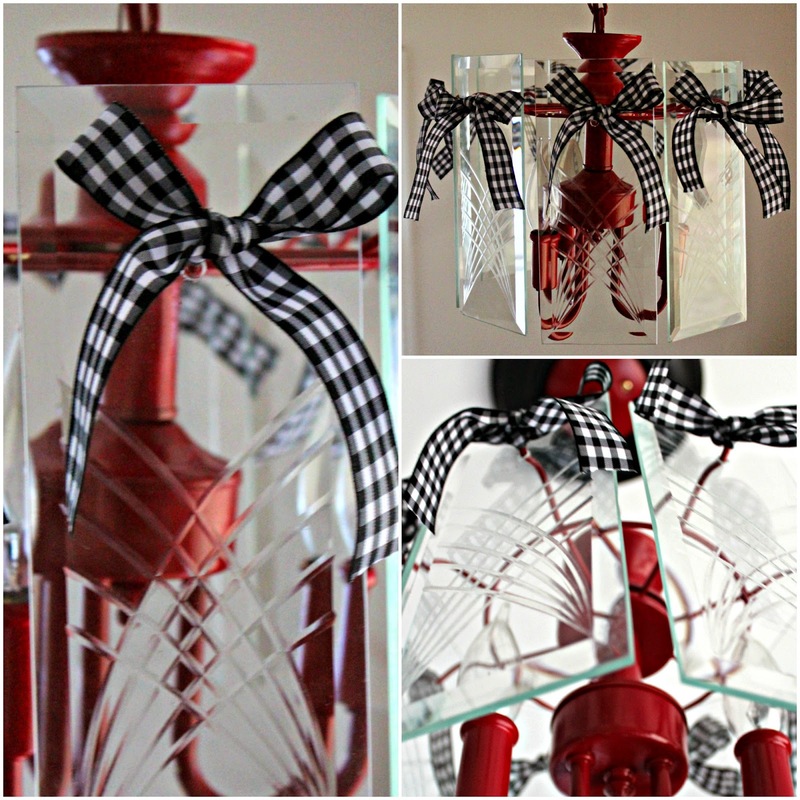 Then allow your guests the fun and adventure of pairing them with a host of assorted accoutrement's. 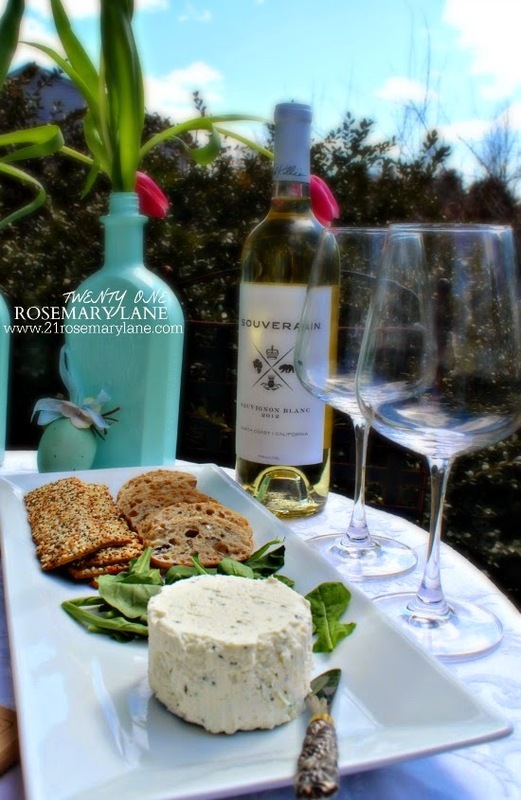 There are so many fabulous ways to enjoy Boursin cheeses. 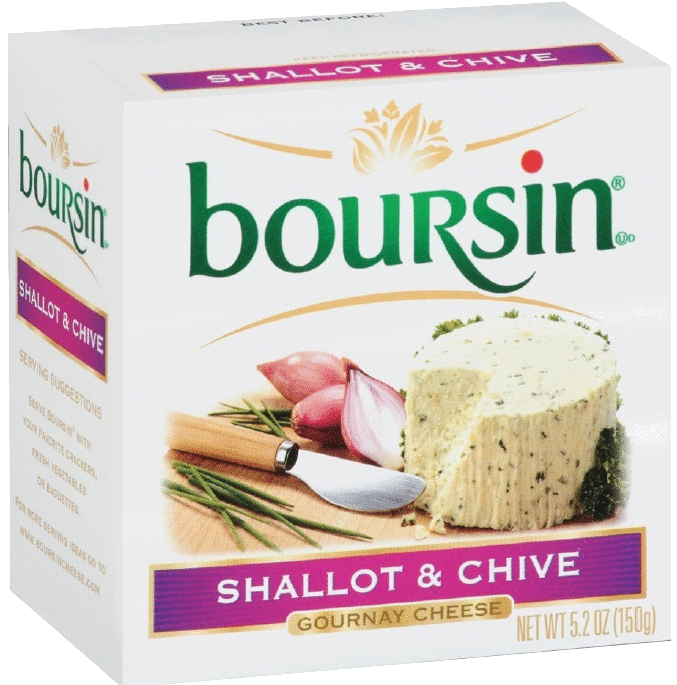 Here are a few ideas I came up with as how to pair two of Bousin's beautifully crafted and incredibly delicious Gournay cheeses, Garlic and Fine Herbs and Shallots and Chives. OK I totally love anything garlic, and as far as I am concerned garlic goes with just about everything! 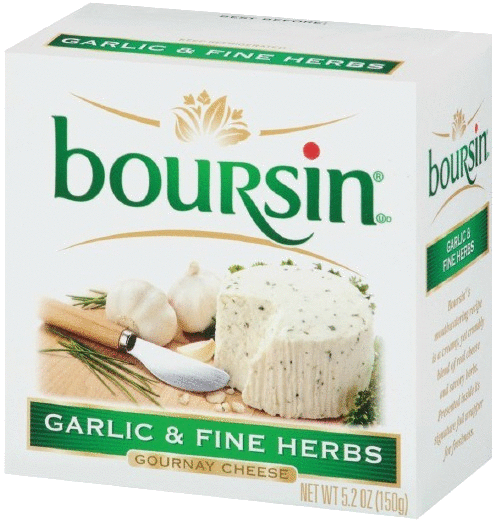 So when it came time to try Boursin's Garlic & Fine Herbs cheese, it is not hard to believe that I went crazy over the flavor. 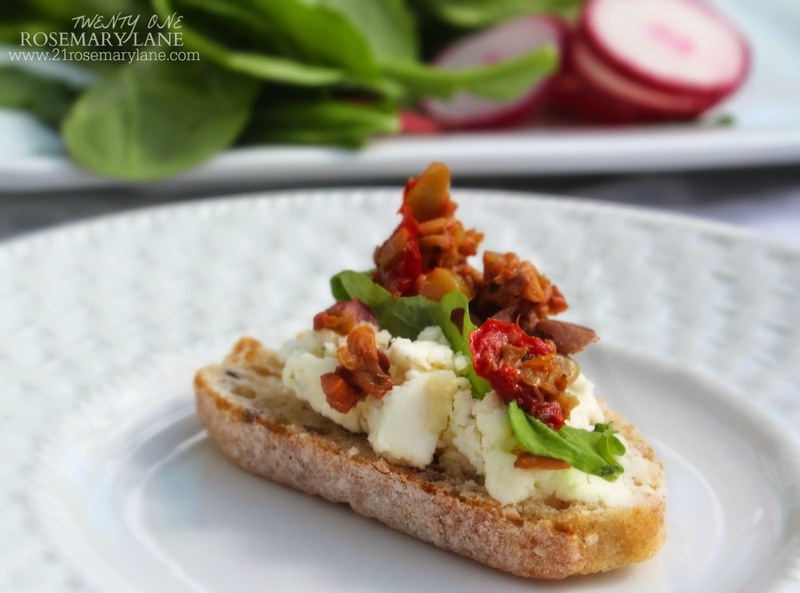 One of my favorite ways to enjoy this cheese is on a thin slice of ciabatta bread, topped with a peppery bite of baby arugula and the saltiness of an olive tapanade. 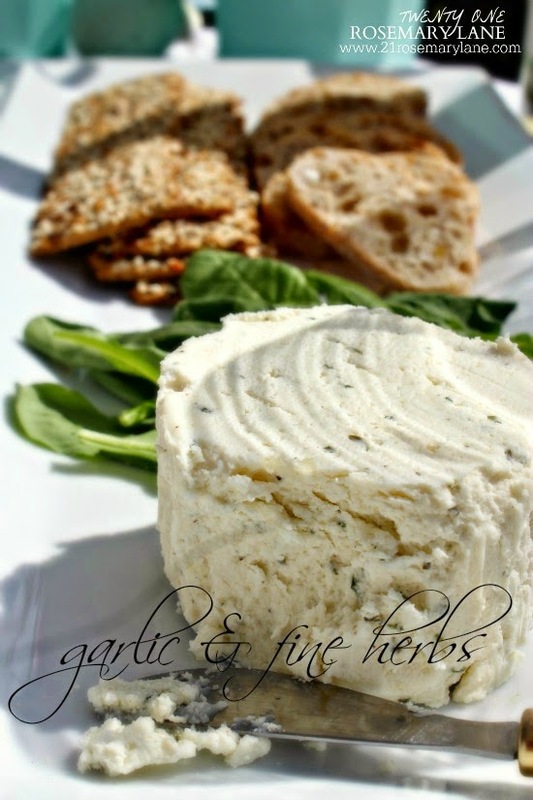 Another great way to enjoy this garlic infused cheese is to simply spread it on any type of cracker and then top it with toasted almonds. When entertaining, I like to provide both sweet and savory options for my guests, and I love the taste of the two opposing flavors together. 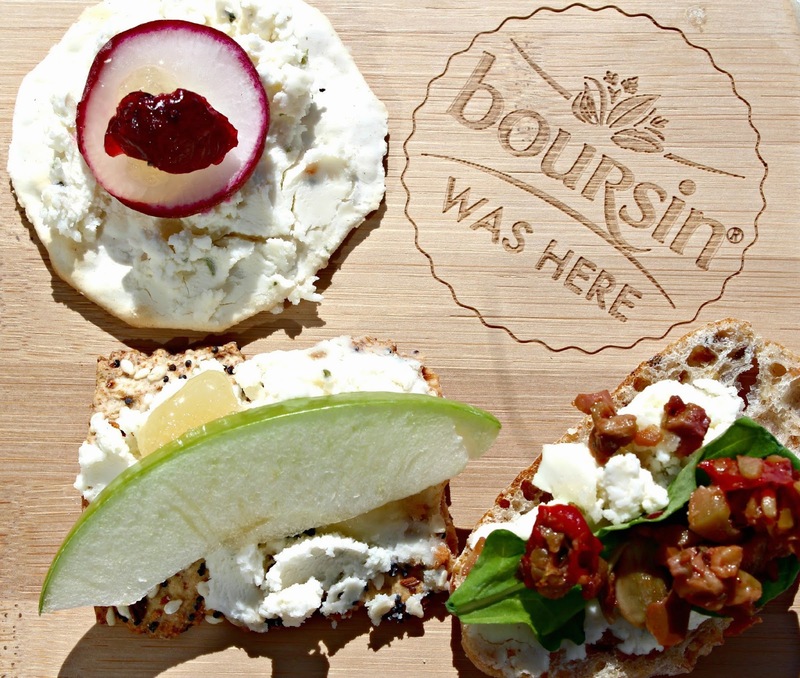 One of the pairings I really enjoy is the light yet somewhat earthy flavor of Boursin's Shallot & Chive cheese with a touch of sweetness from honey, I used a cherry honey, and a slice of tart green apple all atop an Everything flat bread. 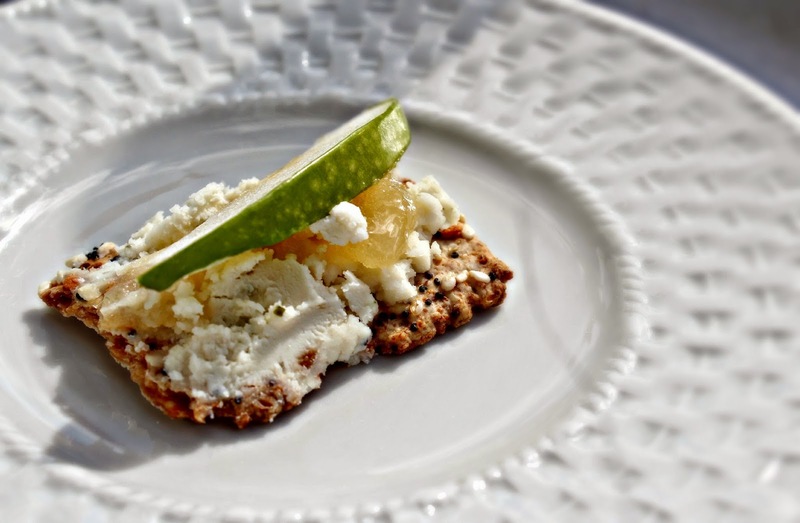 Another tasty combination to try with this cheese is to spread it on a plain water cracker and then add some dried fruit and a slice of raw radish. The flavors are wonderful together and texturally you enjoy the bold crispiness of the radish in contrast to the creaminess of the Shallot & Chive cheese. 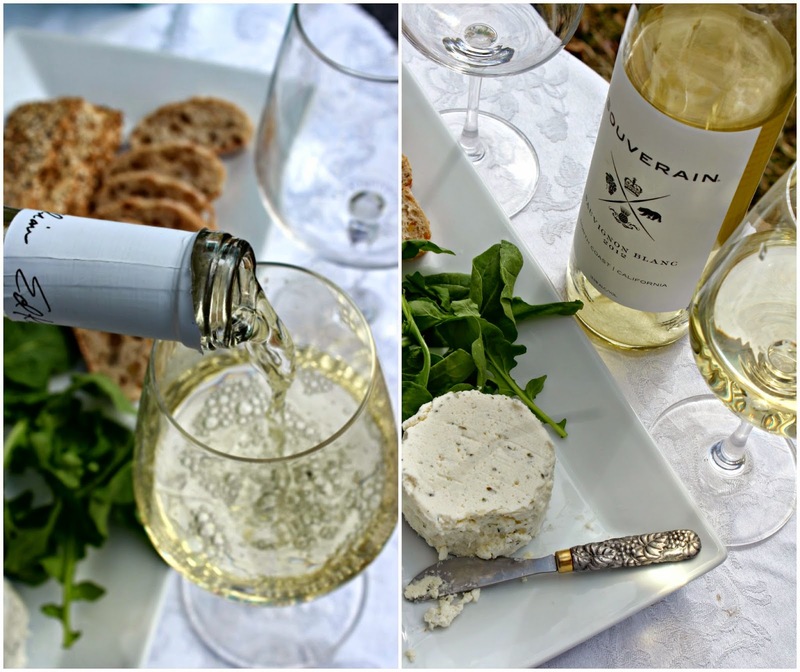 My wine of choice to go with these cheeses is a citrusy sauvignon blanc or a light pinot grigio. 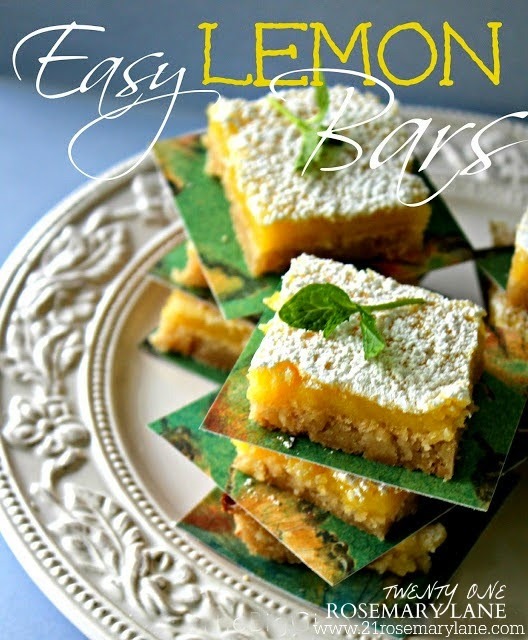 It is also a good idea to create a few pairing options ahead of time for your guests. 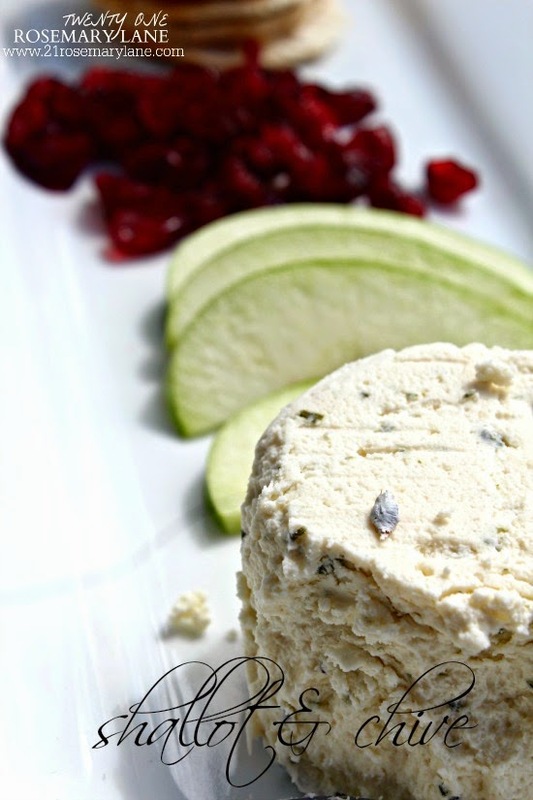 This will help them to think out of the box with regard to other possible ways to pair these delicious cheeses. 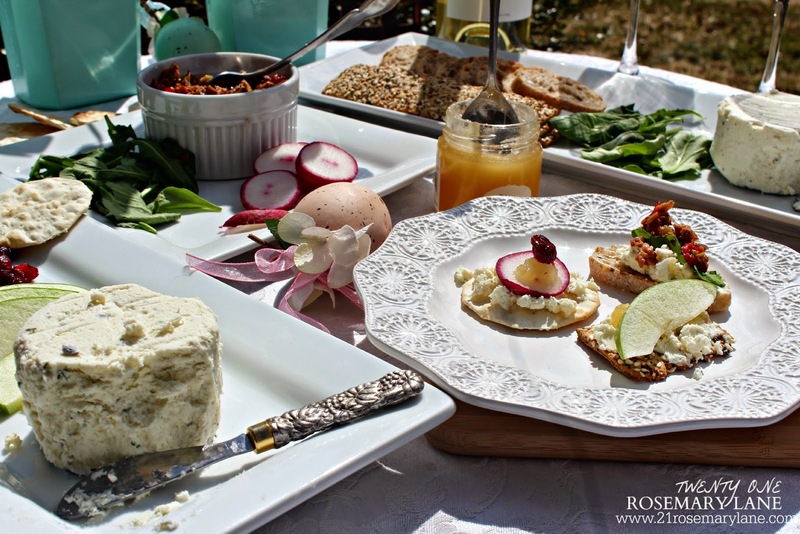 I hope this post gives you few ideas of how to entertain in a way that will not only totally wow your guest, but also help you to very easily create a beautifully elegant appetizer spread with some of the gorgeous cheeses from Boursin. 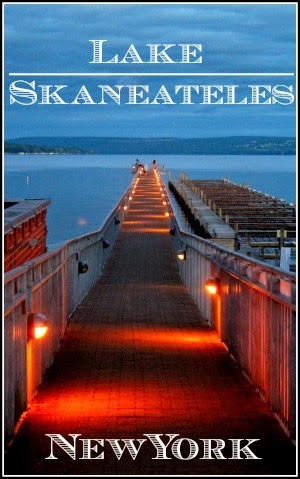 Wishing you all a wonderful start to this glorious Easter week! 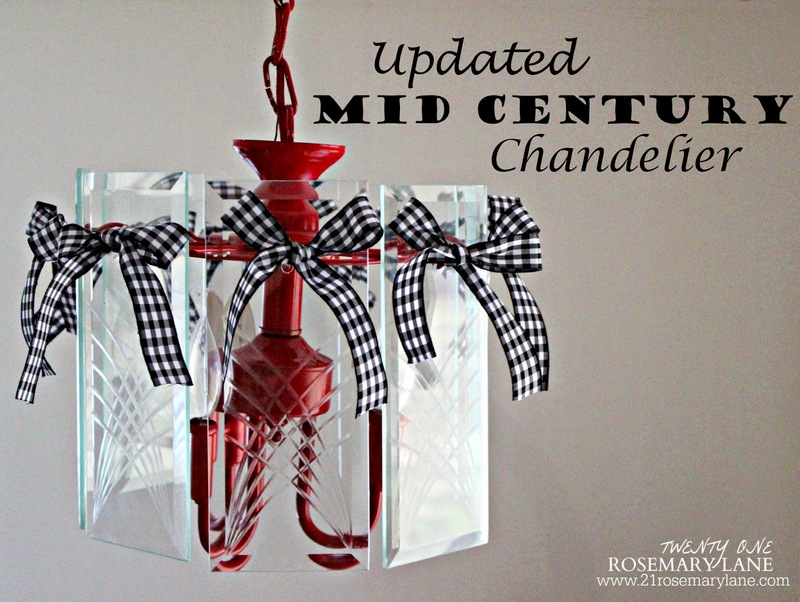 Was this post helpful in giving you some great ideas for your next gathering? 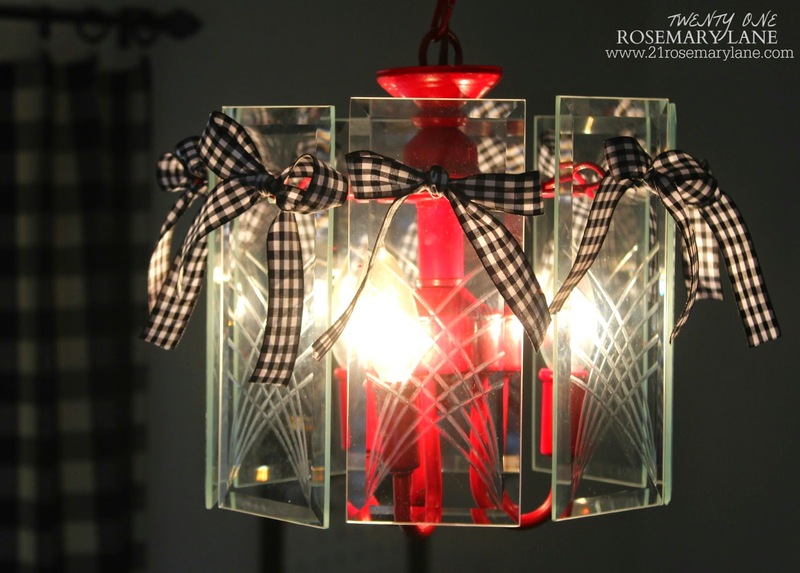 If you are looking for more super ideas for easy entertaining you can "Like" and follow Boursin on Facebook and/or follow via Twitter. 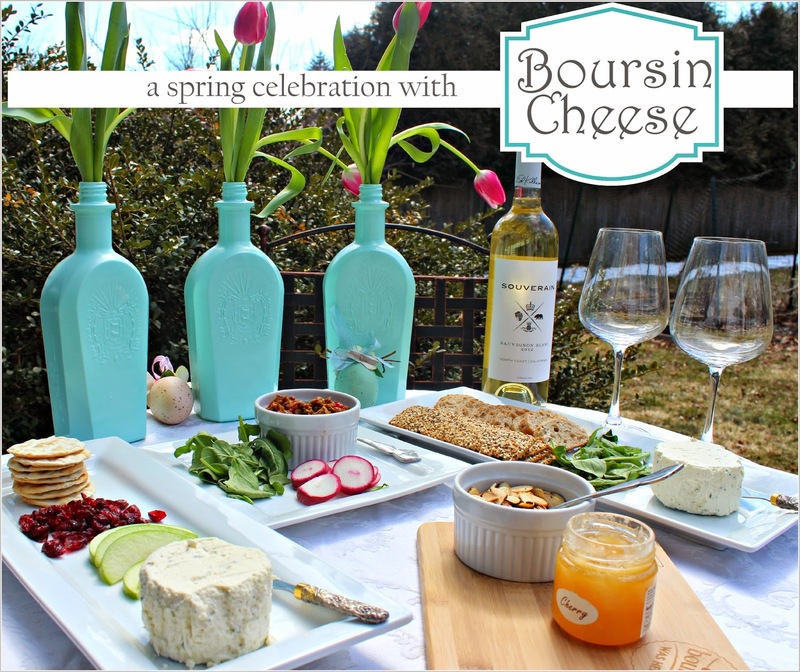 Disclaimer: I’m working together with Boursin Cheese to bring a variety of cheese pairing ideas to you my readers. 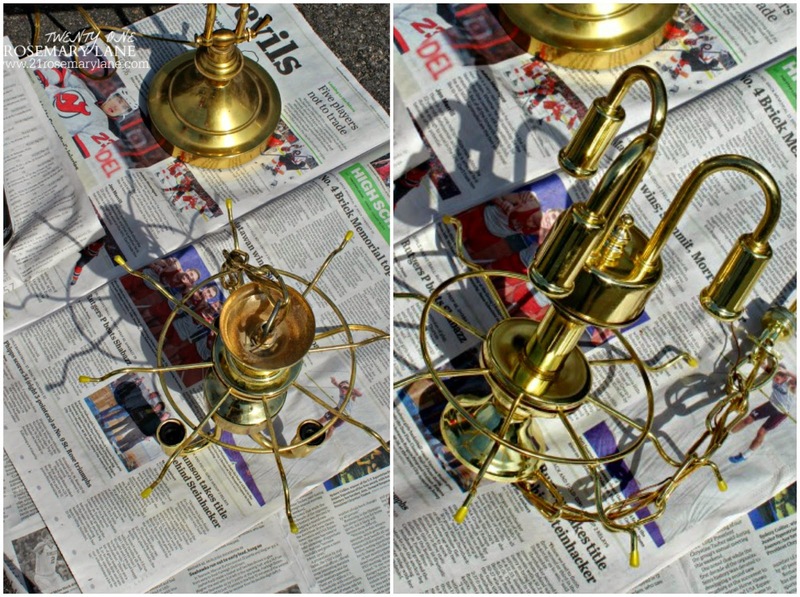 I received this product for free from Smiley360 in exchange for my honest review. 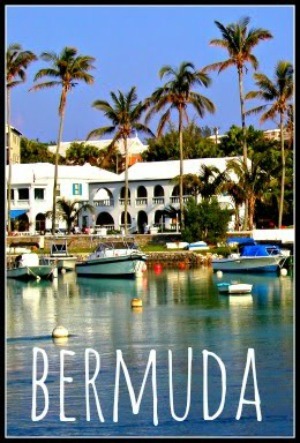 You can join Smiley360 here!" 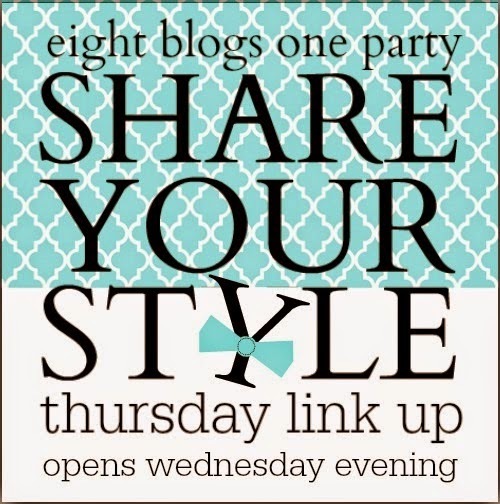 Hi everyone and welcome back to week 6 of the Share Your Style link party. Gosh can you believe it...5 parties have come and gone and it has been incredible seeing the amazing creativity you all link up every week! 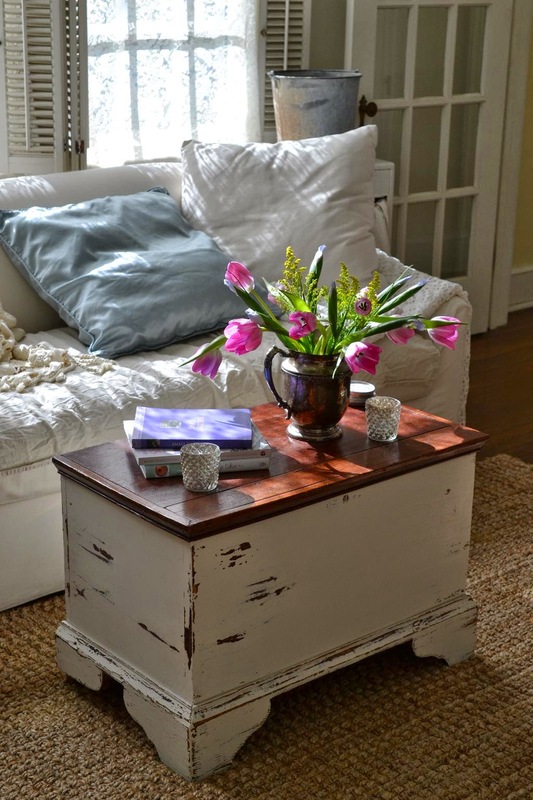 I hope you followed along this week with the Share Your Style Blog Hop...talk about spring inspiration! I know I have been in full Spring Swing so lets take a quick look back at what I shared with you since the last SYS party! 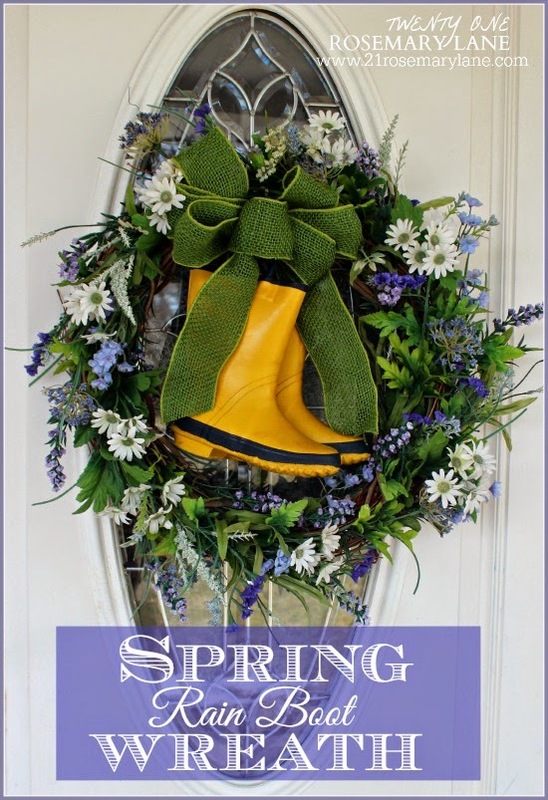 Well despite another snowfall last Friday I did manage to get a Spring Wreath up on my front door. 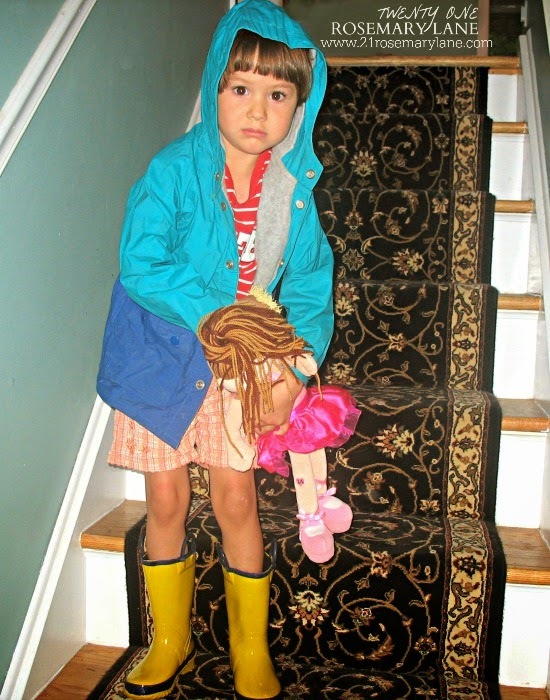 This one was made with my daughter Grace's old rain boots from when she was just a half-pint. 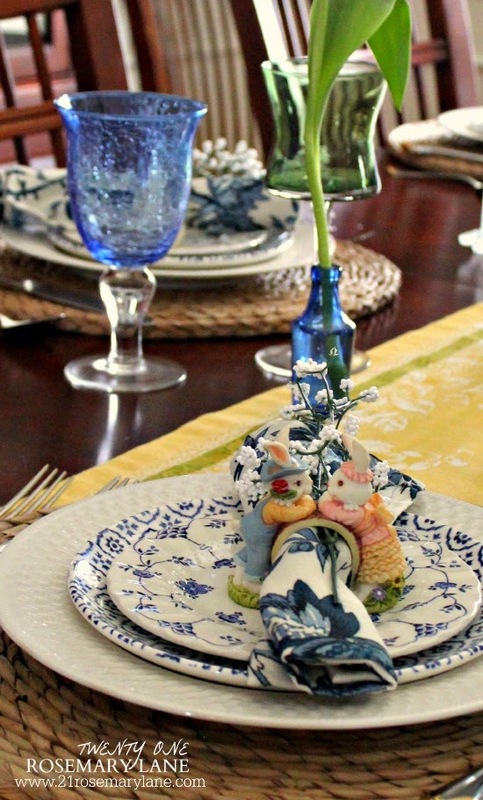 Then for the Spring Hop I created a Garden Inspired Tablescape. 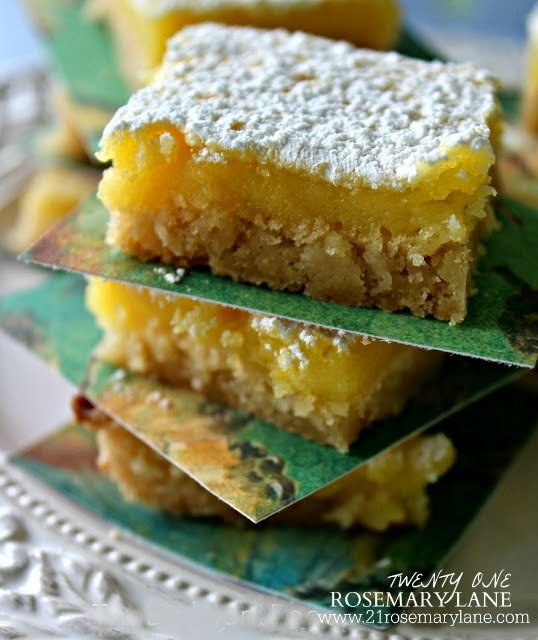 And finally I shared my super, easy super yummy Lemon Bar recipe. 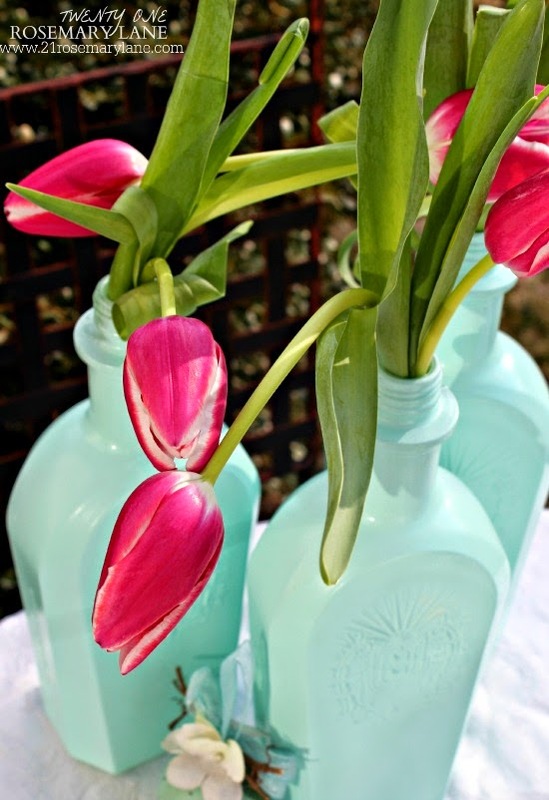 At tonight's party feel free to link up any spring inspired posts, both old and new are welcome!!! 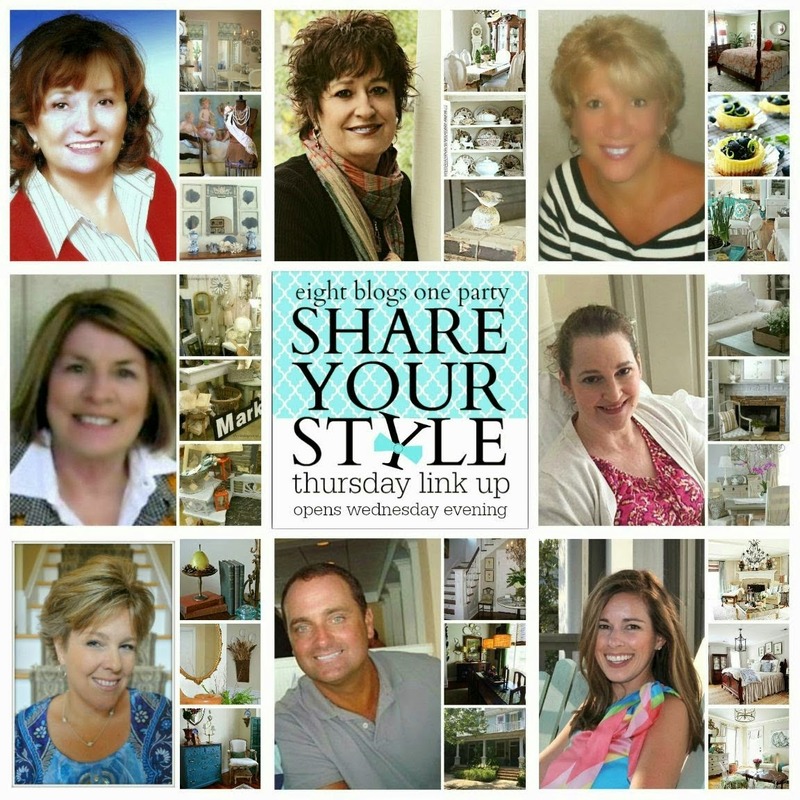 Hi Everyone and welcome to day one of the Share Your Style team's Spring Blog Hop! First I want to thank Sherry of No Minimalist Here for brainstorming this super spring hop idea, and Debra of the blog Common Ground for taking the lead in making the hop happen. 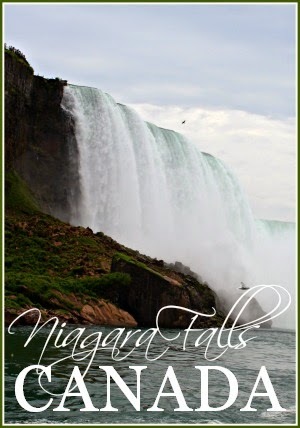 I am so thrilled to be part of the SYS team and this beautifully inspired blog hop. 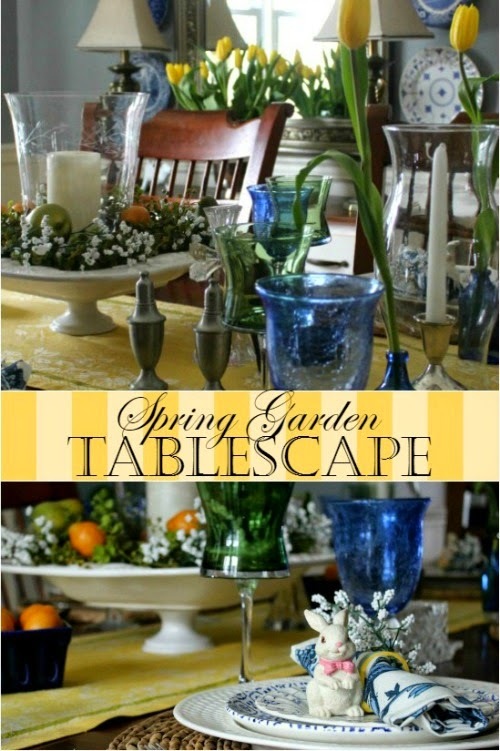 Despite the fact that we here in the northeast had recently received another 6+ inches of snow from mother nature, I decided to create a spring inspired table for you all to enjoy. 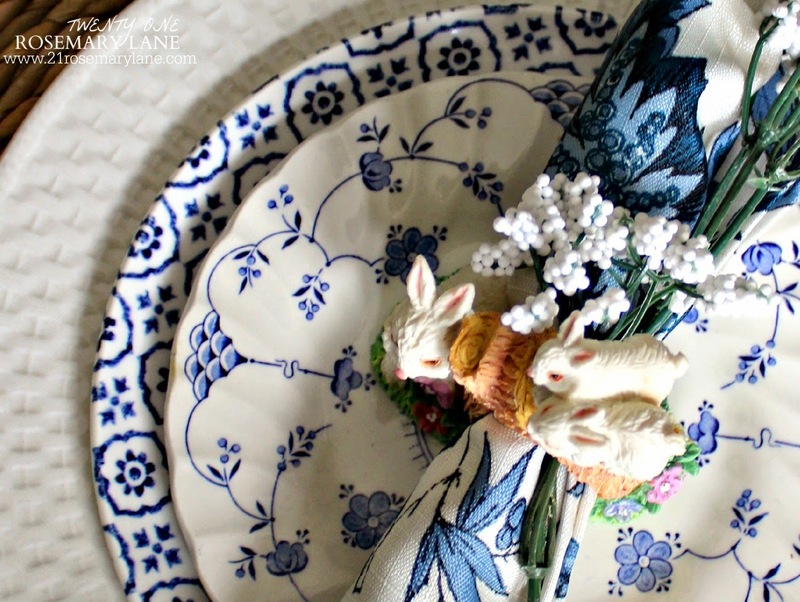 So just imagine the birds chirping, the flowers blooming, and bunnies hoping down the ol' bunny trail, because both Easter, and hopefully spring too, are on their way! 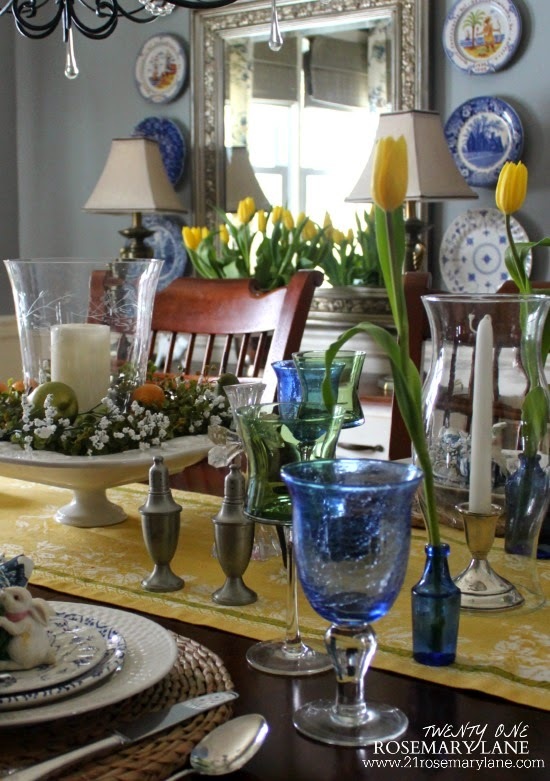 Since blue is the predominant color in our dining room, I thought it would be nice to pair it with some bright yellow accents to help bring in a springtime theme. 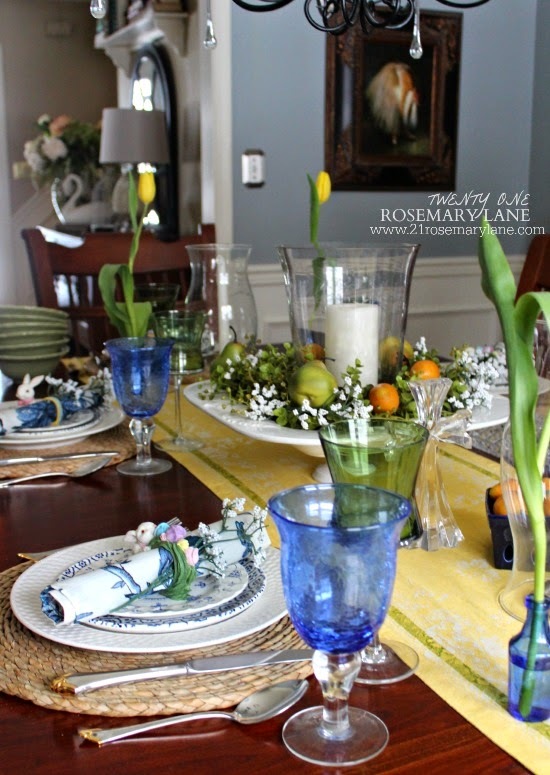 The pretty yellow and green linen runner I picked up a few years back at Williams Sonoma became the perfect jumping off point for my tablescape's color scheme. 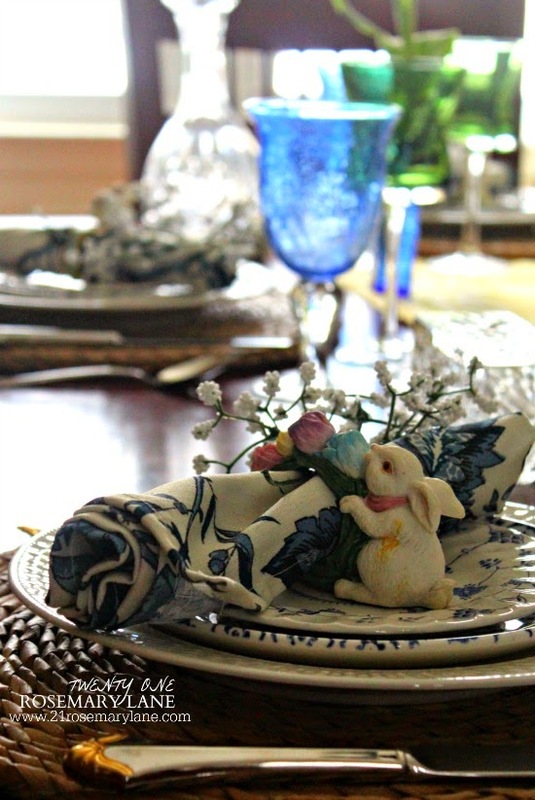 The bunny napkin rings I just rediscovered as I was cleaning out our home office for it's big makeover. 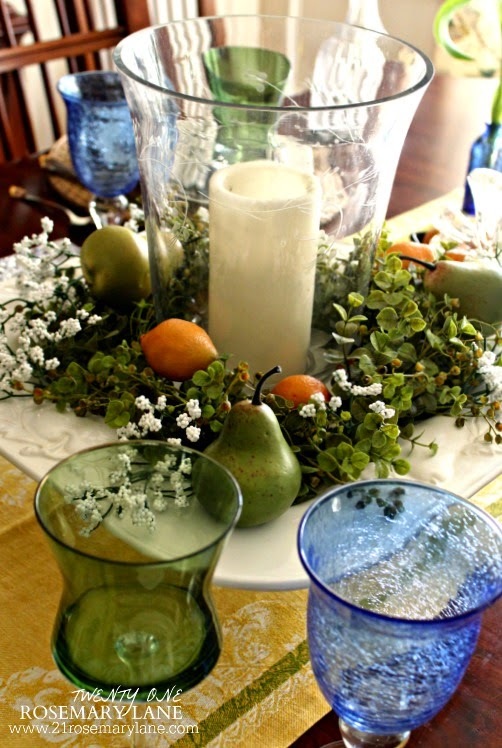 They were given to me by my dear friend Pegs and are the inspiration for this tablescape. 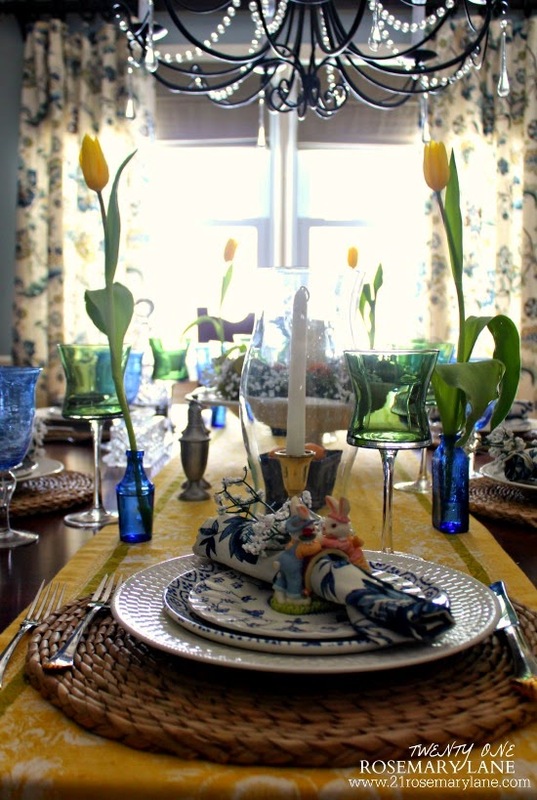 Green stemware paired with cobalt blue water glasses are reminiscent of the newly green grass and brilliant blue skies of spring. 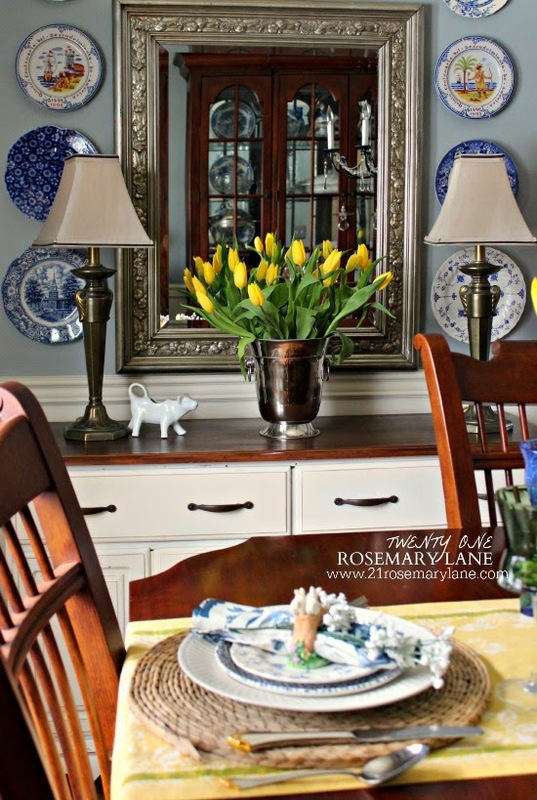 And tulips (my favorite flower)...lots and lots of tulips were added to the dining room. 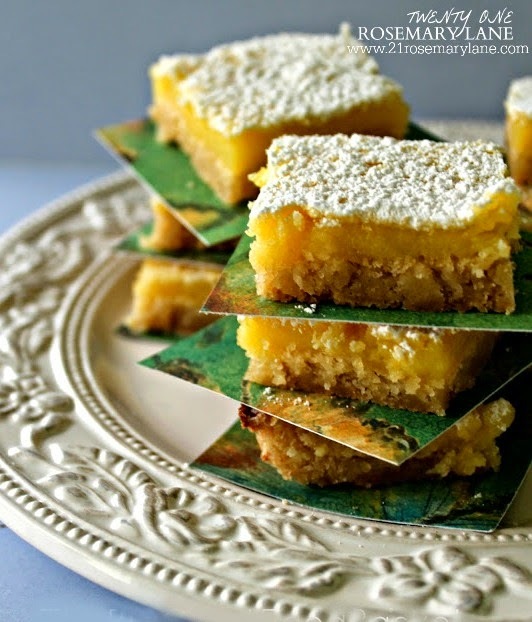 At a quick glance the bright yellow botanicals look as if they are growing right up out of the table! 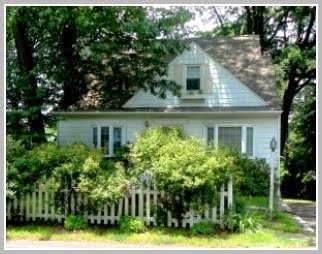 There is the classic mix of blue and white plates. 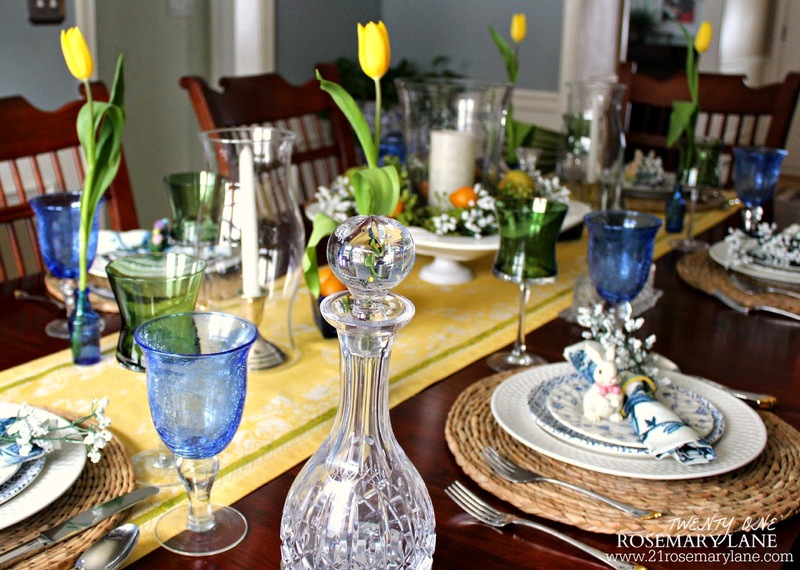 And the addition of a hurricane glass with candle surrounded by a mixture of spring colors serve as a sweet centerpiece. 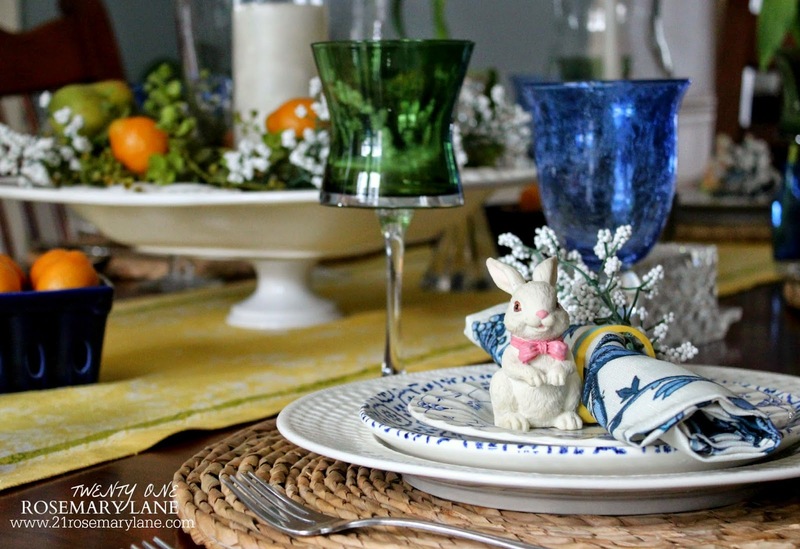 I hope you enjoyed my tablescape and maybe found some inspiration or even an idea or two you can incorporate into your spring or Easter table setting. Thank you so much for stopping by and Happy Spring to you all! 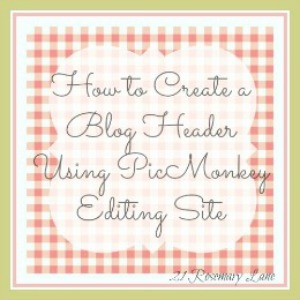 Make sure to head on over to check out the wonderful creativity of the beautiful blogs being featured tomorrow. 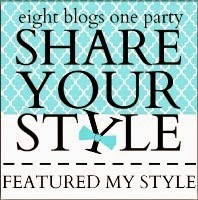 Be sure not to miss any of the fabulous Share Your Style bloggers during our three day spring inspired blog hop. 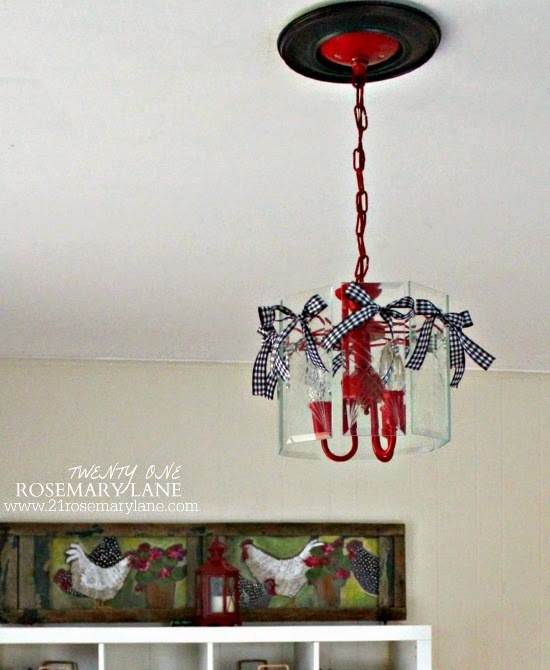 And remember to stop back on Wednesday at 7pm/6pm central for the Share Your Style link party where you can link up spring inspired projects, vignettes, crafts and yummies. Both old posts and new are welcome.